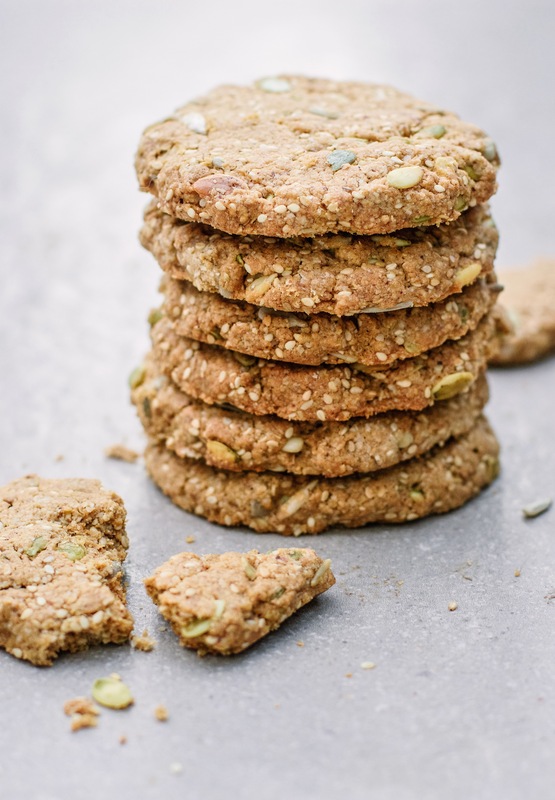 I created this recipe for Tesco- they stock all of the ingredients for these crisp, crumbly seed cookies that make the perfect treat on the go or at home. 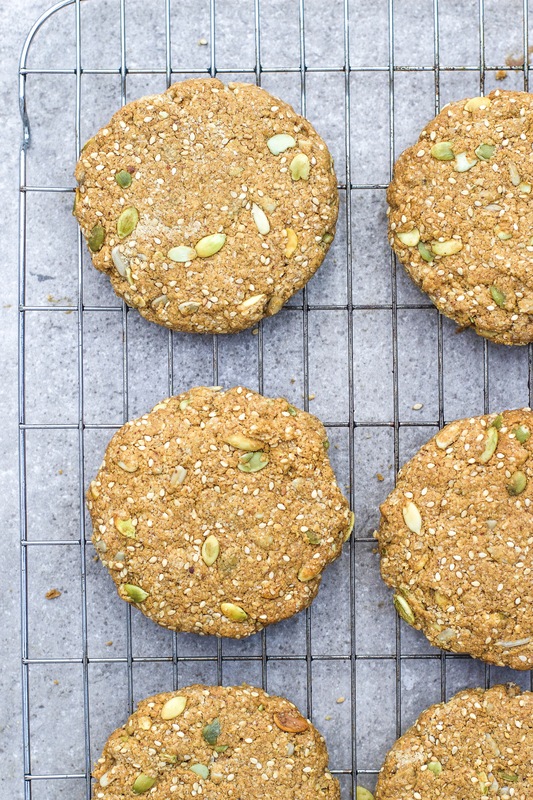 They’re full of seedy goodness, fibre and omega 3s and are super simple and quick to make. They keep really well in an airtight container for up to a week, so they’re ideal for making ahead of time to get you through a busy week. Add the oats to your food processor and blend on high until you have a fine flour. Add it to a large bowl with all of the seeds and the baking powder and mix well. Add the coconut sugar, water, nut butter and vanilla to a small saucepan on medium heat and heat it until the coconut sugar has dissolved and you have smooth mixture. Pour the sweet mixture into the dry ingredients, along with the melted coconut oil. Mix well. Line a baking tray with parchment paper. Shape the mixture into balls and then press them into a cookie shape on the tray. Bake at 180’C for about 13 minutes until golden. Set aside to cool and crisp on a wire rack. *This recipe is sponsored by Tesco. You can shop all the ingredients in store and online here. Would peanut butter work with this recipe? Looks lovely! Are they suitable for freezing? Can you substitute the nut butter? Extra coconut oil? My son has a nut allergy but would love to try these. I made these today they are divine although it was hard not to eat the wet mixture before it was all mixed!! I ran out of coconut sugar so I used the biona apple puree instead and it worked great I kept the quantity the same. Hi Indy, do you recommend freezing raw mixture or cooked? Made them today. They were a little crumbly but I added sugar to liquid mixture which maybe isn’t right. They taste so fab!! The kids loved making them. Any idea of calorie content for this recipe?? These are fab! I made them with peanut butter and I am loving them. Could I leave out the sugar to make these more of a savoury cracker? Maybe add a pinch of salt instead…?